LDS30A Laser Distance Sensor - HiTECH Technologies, Inc. 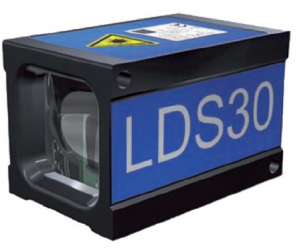 The LDS30 laser distance sensor is dedicated for general ranging applications that require instantly triggered and fast data acquisition. The sensor provides measurement rates as fast as 30 kHz within a measurement range of up to 30m with no reflectors and 250 m with reflectors. It operates fully eye safe at a wavelength of 905 nm. The LDS30 sensor is optimized for easy system integration. It is available with a ready-to-use IP67 proof housing or configured as a distance sensor module for specialized system integration. The housed version is shockproof and suitable for applications that impose high impact on the sensor, for example in industrial environments.